A solar installation has several benefits for the home, such as, lower utility bills, a cleaner ecological footprint, and a safe, clean, renewable energy source. It is not just the home that can take advantage of all those attributes, businesses can as well, in fact many big companies have already embraced the use of photovoltaic (PV) systems on many of their facilities. These companies include Whole Foods, Ikea, and Walmart. Each company’s combined solar installations saves it hundreds of thousands, to millions, of dollars on utility bills. Additionally, the carbon emissions they reduce is equivalent to the planting of hundreds of trees or the removal of hundreds of vehicles from the road. Their environmental impact is huge, but in a good way. However, it is not just large, multinational corporations that can benefit from a solar installation, businesses of any size have a lot to gain from using commercial solar panels. Los Angeles business owners. and other business owners across California should consider the application of a PV system, because they have a lot to gain and very little to lose. The potential savings from a commercial PV system are immense, just as they would be for a home. However, unlike a home, it is not likely that a company can offset all of its electricity bill using only solar power. That is simply because there will be more people using more electricity in a business. Even so, commercial solar panels can reduce the power bill by hundreds of dollars, which adds up to huge savings over the life of the system. Commercial solar panels do have one big advantage over residential panels though, they will most likely be used when the sun is at its peak. Most homes use less energy during the daytime when the sun is shining, and more energy during the evening and night when there is little to no solar power available. Since most businesses are run from the morning to the afternoon, they will be using more energy during the daytime when the sun it is at its brightest. As a result, most companies are in a better position to take advantage of solar power than most homes. All solar panel installations, whether they are commercial or residential, qualify for the Solar Investment Tax Credit, a government incentive that provides a tax credit of 30% to the worth of the PV system. This can significantly reduce the cost of the system so that the business owner does not have to spend as much on its installation. Additionally, commercial solar panels are eligible for the Modified Accelerated Cost Recovery System (MACRS) which can provide business owners with large tax deductions in just five years. The MACRS allows companies to recover investments in renewable energy generators via depreciation deductions. This helps to reduce the tax liability caused by the installation, helps to recover the cost of installation, and speeds up the return on investment of the PV system. A commercial solar installation can generate Solar Renewable Energy Certificates or RECs. A credit is created for each megawatt hour produced by the system and they can then be sold on the open market. Several states, including California, require power suppliers to purchase RECs as part of the state’s Renewable Portfolio Standard (RPS). The value of RECs varies by state depending on supply and demand, the demand being driven by the states requirements to meet their solar RPS requirement, so that they do not have to pay a compliance premium. As with residential properties, a PV system increases the value of the property on which it is installed. The reason—in both cases—is that a property that can reduce the cost of the electricity bill will always be highly valuable since the operating costs will be lower. Also, California offers property tax exemptions for buildings with a solar power installation. This allows home and business owners to exclude the value a solar installation adds to their property from the appraisal of that property for taxation reasons. A property tax exemption makes the installation of a PV system a more practical proposition for business owners. California also has a partial sales tax exemption enacted in Assembly Bill no. 398, that has reduced the sales tax rate of solar panels by roughly 50%. A commercial solar installation helps to enhance the reputation of the business that is using it since any company committed to reducing its carbon footprint will have a good reputation. That reputation will attract positive attention, which can, in turn, attract more business and potential employees. The business owner with the commercial solar panels will not just have a reputation for being environmentally conscious, they will also be perceived as being smart and practical because of all the other benefits listed above. Unfortunately the sun does not shine all the time, meaning that in cloudy or rainy weather, they will work less efficiently or not at all. A few days of inclement weather per year will not matter in the long run, but extended periods of rain or clouds could mean that the solar panels do not save as much on the electricity as they could have. If the commercial building is surrounded by trees or is located in an area where the sun does not shine on the building directly, then solar panels may not be viable. It is possible to trim or cut down trees that are in the way of the sun’s rays but this could incur additional expenses besides the purchase and installation of the PV system. Commercial solar panels eventually pay for themselves and they have several incentives and tax breaks associated with their installation, nonetheless, they can be an expensive, initial investment. The costs also includes reconfiguring the electrical system and possibly reinforcing the roof if that is necessary. The costs will ultimately be worth it, but there is no denying that they can be high. There are clearly more advantages than disadvantages to commercial solar panels, so any business owner interested in saving money and helping the environment should seriously consider investing in them. They increase the value of the property and the reputation of the business. 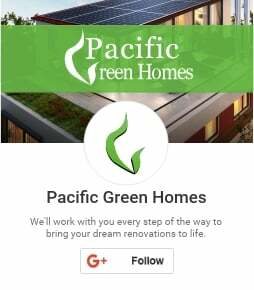 So, any business owner who wants to engender goodwill for their business through clean, renewable energy should find a reputable solar installer like Pacific Green Homes and ask them about their options. The main reason being that commercial solar panels in Los Angeles, or any city in California, can only help make any business, smarter, better, and more efficient.